Tagged under Takahiro Kimura, CLAMP, Sunrise (Studio), Code Geass, Series, Drama CD, Light Novel. 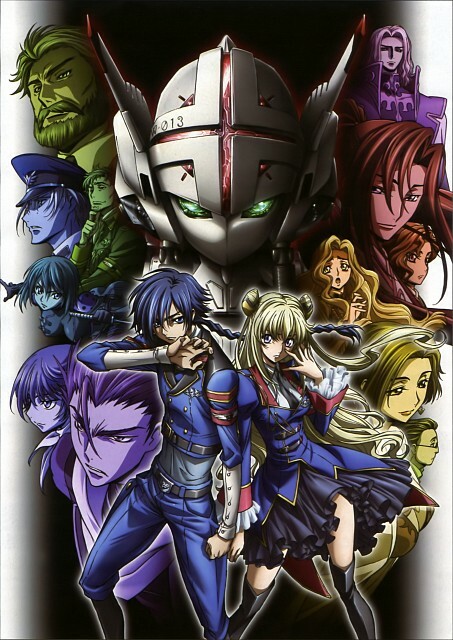 I really loved this spinoff movie series from the Code Geass universe, it has a truly engaging story and interesting characters. I am more invested in the characters in this series than those in the original show because I feel that there is strong bond the leads Akito and Leila have with those they're close to and with each other as a couple.The character development was fantastic among the majority of the principal characters of the series. I felt that Akito's older brother Shin was a well-written antagonist and had depth to his character; though outwardly he showed a cruel and unhinged persona, inside he had feelings for those he cared for like Jean; the girl who loved him. This series also has a theme of its' own outside of the original and I enjoy the aesthetic of series set in Europe. The grand scale of the project was impressive with the direction by Escaflowne's Kazuki Akane, music by RahXephon's Ichiko Hashimoto, the all-star cast of great seiyuu performances, the beautiful movie quality animation, and overall being truly enjoyable and entertaining to watch. This show was great. Yeah, the end was a bit awkward and a lot of questions remained unanswered. I also hated the clichéd ending (with Shin) and that's why I only rated it 7.75. But I really loved this new plot and these new characters. Some would say that Akito is dull next to Lelouch but they're just different. I don't need another Lelouch. There is only one true Lelouch to me and it's fine. So I love the fact that Akito is so much different. I like Layla too, since she's a smart girl and a charismatic one at that (just see OVA 5). The biggest problem with Akito the exiled is the plot. Too rich for only 5 OVAs.